In the market for a travel trailer that can accommodate the whole family, but is affordably priced? Look no further than the delightful Hideout Single Axle 175LHS travel trailer. 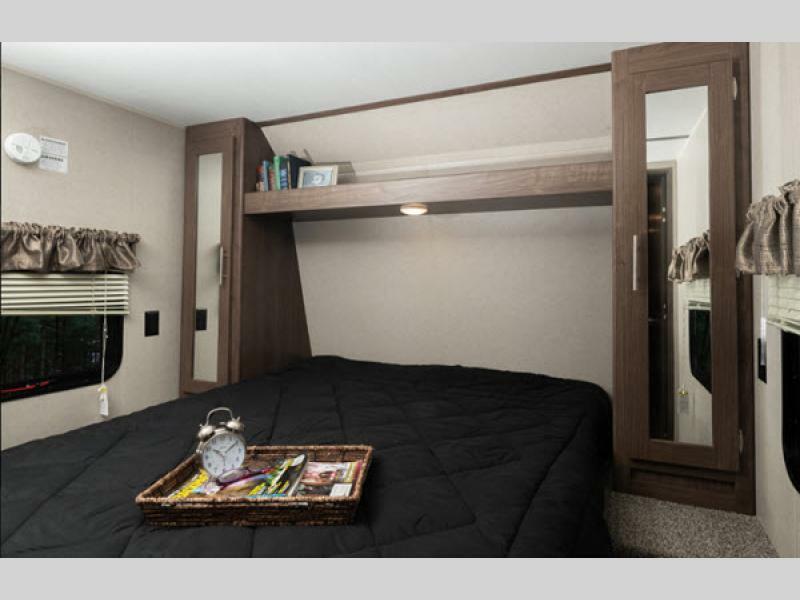 With room for up to 5 people and a great set of bunks for the kids, you will love how this RV will bring the entire family together. 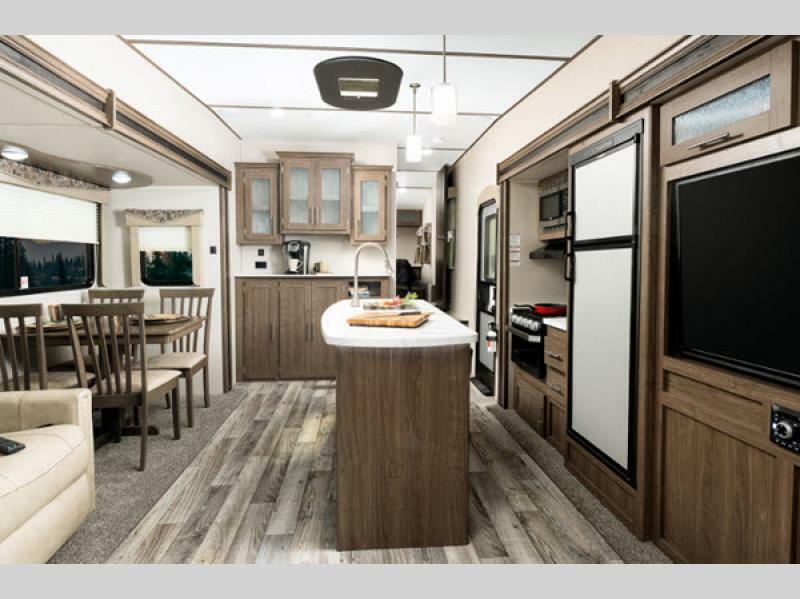 It offers a great living room to kick back and play games or watch movies, plenty of sleeping space, and a great kitchen that promises to be the heart of your home on the road. Hideout’s bedroom comes with a plush queen sized bed that promises you a great night’s rest. Whether you’re bedding down after a long night or taking a nap before a great adventure, you will absolutely love this space. It also comes with lighting above the bed and wardrobes on either side. For the kids there is a bunk area that they can make their own. You’ll appreciate that they can have fun giggling with each other through the night without waking mom and dad up. You will adore the time spent in this kitchen cooking amazing meals for the family. From a quick side salad to reheating leftovers to creating a spread that’s fit for a king, everything about this kitchen was created to make the time you spend in it enjoyable. Don’t let the fact that this RV is a single axle unit fool you. It comes with a great bathroom that is spacious and designed to accommodate the entire family. 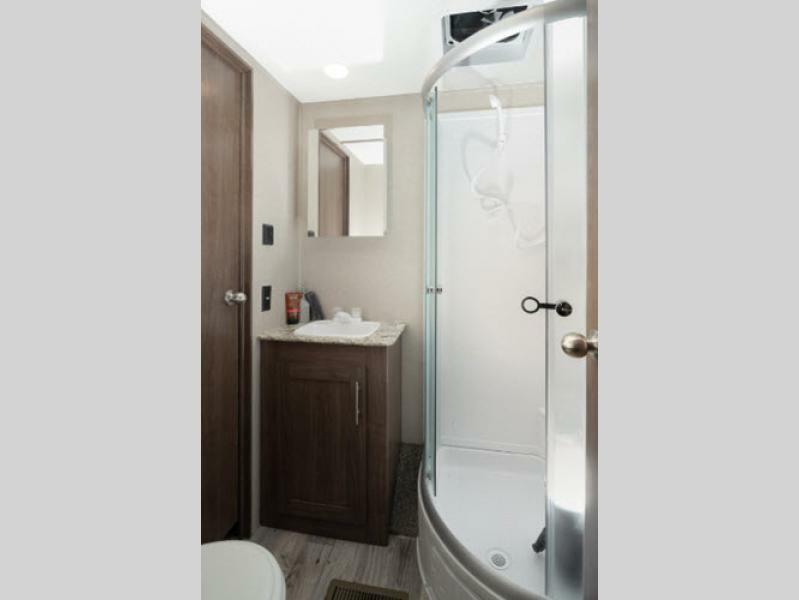 From the large shower to storage for all of your toiletries, you’d be hard-pressed to find something you dislike about this RV’s bathroom. If you’re interested in learning more about our selection of Hideout Single Axle 175LHS for sale, contact us. We can answer any questions you have and make sure you have the information needed to make the best decision for your family. We can also assist with RV financing.